I've added another beauty to my ever-growing Cereal Mascots. Quisp was a little before my time. I was born in 1979, but I love the old commercials for it. I wish they had made a Quake Wobbler as well. Love this guy though. Last edited by Batty88 on Tue Oct 30, 2018 6:43 pm, edited 1 time in total. MasterSplyntr wrote: Sweet "addition" . Batty88 wrote: I've added another beauty to my ever-growing Cereal Mascots. Quisp was a little before my time. I was born in 1979, but I love the old commercials for it. I wish they had made a Quake Wobbler as well. Love this guy though. A very cool Wobbler addition indeed! 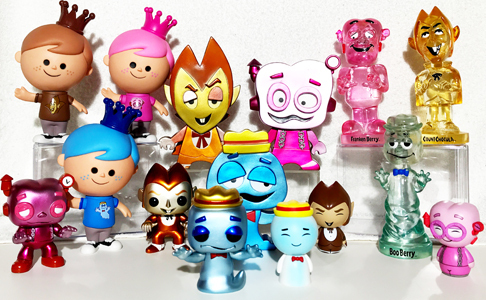 Love the mascots in the Wacky Wobbler line!! Very awesome piece to add to,your collection. Quisp was one of my favorite cereals I ate as a kid. Great pick up there! I love the Quisp alien. I have a vintage money clip with him on it. It was my favorite cereal when I was a kid along with Quake (which pretty much was the same cereal with a different shape) but the re-release they had recently just didn't taste the same. Nice pick up man! 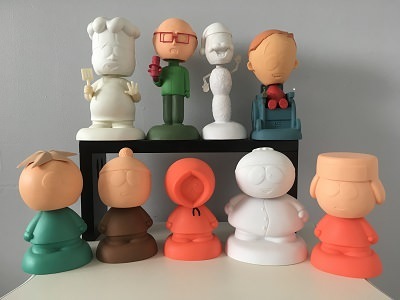 Definitely a really cool wobbler to add to your collection! Super cool! Happy you got to add to your collection!! This one looks interesting. Before my time also! That was one of the first cereal wobblers I got for myself. Love that. Just got my first wobbler, Betty Boop. Love it. divade23 wrote: Love that. Just got my first wobbler, Betty Boop. Love it. Congrats! Which one? Please share a pic! Yes, there are many Betty Boop wacky wobblers!!! Still tryin figure this pic thing out. kevinbuddha wrote: Yes, there are many Betty Boop wacky wobblers!!! Awesome pic of Betty Boop. To post the pic directly do the following. When using Imgur what I found is I am unable to use my phone. You need to log in to your Imgur account on a PC and when you click on the picture you will see a bunch of different links. These links are not visible on my Samsung Note. Select the one that says I believe BCC and copy that one and paste it in your response on Funatic board. Hope this helps. Great wobbler! Hoping we eventually get a pop version as well. She’s too cute. Congrats. You mind me asking where you got her? TJLAUTERBACH wrote: Congrats! Which one? Please share a pic!